Flash! 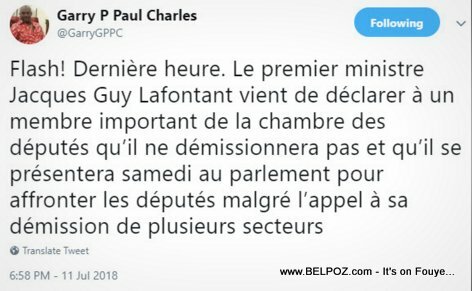 Dernière heure. 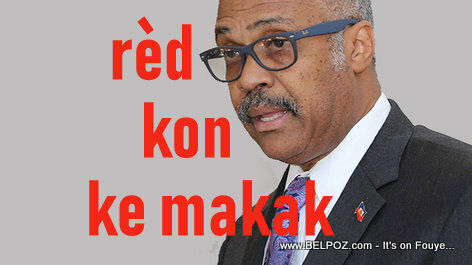 Haitian Prime Minister Jacques Guy Lafontant has just told an important member of the Chamber of Deputies that he will not resign and that he will come to Parliament on Saturday to face the deputies despite the call for his resignation from several sectors. Si se te ou menm ki te nan plas misye ou tap resign?